How do I create a Purchase/Rental Product? I made my Product, now what? How do I add videos to sold buy/rent Product? You can create a new Purchase/Rental Product on the Products page. TITLE - Title the Product to describe what it contains. Example: “Purple Fitness - Weekend 1"
DESCRIPTION - Describe the Product your audience will be buying. Example: "Buy or Rent Weekend 1 of Purple Fitness' Weekend Workouts!" THUMBNAIL - This image appears in customer emails, trailers, Facebook, Twitter, your website, and in Vimeo OTT Apps. Images should use a 16:9 ratio. We recommend 1920px × 1080px to ensure it scales well. Click the checkbox next to your uploaded videos to add them to the Product. Choose PRE-ORDER If you want this Product to be set in pre-order mode. If you want to sell pre-orders, follow this guide. Choose READY TO SELL if you're ready to start selling one it's all set up. You can also choose to block or allow your content in specific countries. PRICING is where you'll set the rental and/or purchase price for your product. RENTAL PRICE - If you want to enable rentals, set your rental price. Rentals are streaming-only for 3, 7, 14, or 30 days for the buyers. Read more on rentals. BUY PRICE- Set your Purchase price. Purchases include unlimited streaming and downloads for the buyers. PAY WHAT YOU WANT - Enable Pay-What-You-Want pricing to allow customers to pay more than the base-price. We strongly recommend it! Selecting UPLOAD will take you to your uploaded extras. In ADVANCED settings, you can customize the messaging we send when a customer makes a purchase. 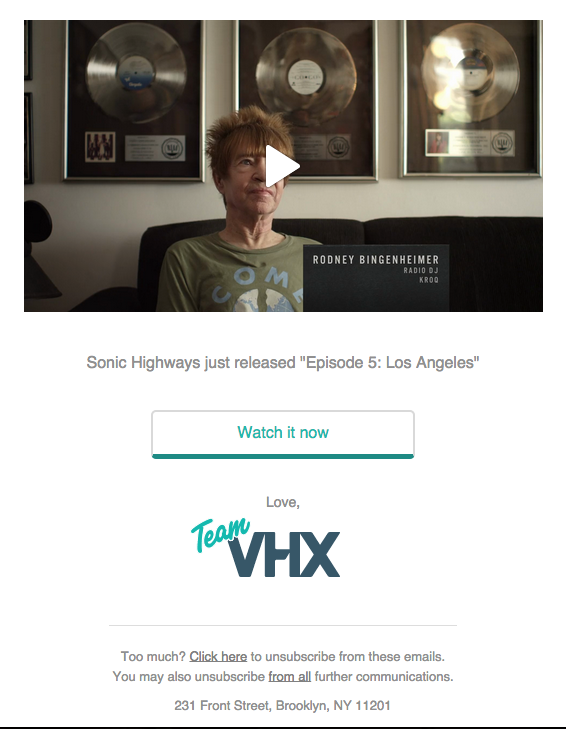 This is optional, but it is nice to include a custom email greeting, ie: filmmaker's personal message that gets sent to all who purchase this Product. Finally, Click SAVE to create the Product. Congrats! You are now selling. See below for how to share it and get some sales! I MADE MY PRODUCT, WHAT NOW? Share the checkout link so others can purchase / rent! - Share it on Facebook, Twitter, Tumblr, etc! To get to the checkout page of your Product, click the View checkout button on the main Products page and it will be copied to your clipboard. HOW DO I ADD VIDEOS TO A SOLD PRODUCT? Upload the videos you want to add on the videos page. Click the checkbox next to the new videos you want to add! Click Save on the Product. Don't forget to notify your customers about new content! You can do so by sending a notification.